Demo Special! Full factory 24 month warranty included! The perfect blend of classic, raw bobber style and the power of a High Output Twin Cam 103B(TM) engine. A modern ride with unmistakable old-iron attitude.The good old days are right now. The Softail Slim® brings old-school style into a new era. The Hollywood bars, slim rear wheel, cat eye console and foot boards recall the early days of custom motorcycles. 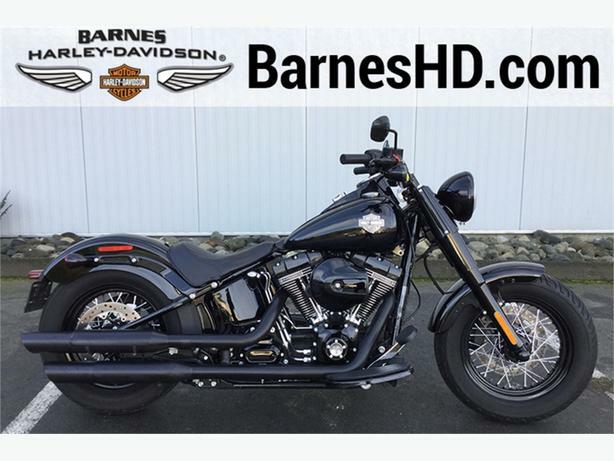 Yet, you also get thoroughly modern features like a High Output Twin Cam 103B(TM) engine, hidden suspension and ABS brakes which make the Softail Slim motorcycle a modern classic.